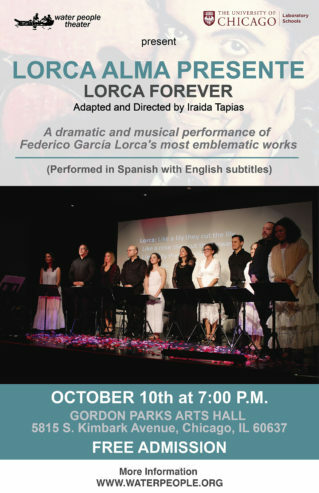 Revered as one of the most important Spanish poets and dramatists of the twentieth century, “Lorca Alma Presente” demonstrates Federico García Lorca’s passion and ingenuity through music, poetry and theater. The production features the most recognized Chicago Latino actors and musicians from Chicago together on stage. For questions, please contact Suzanne Baum.